Jagdkommando Dagger Has Twisting Blade For 100% More Killing | OhGizmo! You want freedom? Then you have got to accept that you’ll also be vulnerable. I say there are no grounds to make owning this a crime in a free society. 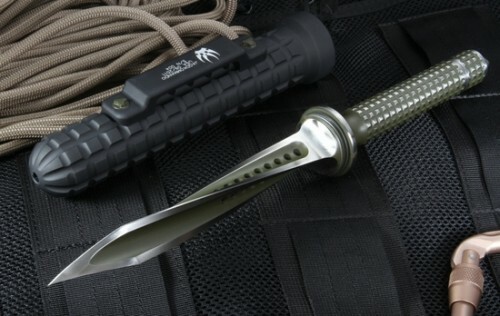 would like to see one of the blades serrated. Actually 3 sided blades were banded by the Geneva Convention because they left nasty wounds that couldn’t be stitched up. This is 2 blades, however because of the “twist” it has the same effect, even more so. I dont think it should be illegal. You can kill someone just as easily with a steak knife. Vulnerability is a part of freedom. You cannot be 100% safe and 100% free. You have to pick one. Let me know where can I get it ,please. It’s the Hague convention and it only applies to military weapons like bayonets and not civilian knives. You mean banned not banded. Great for stabbing and doing max. harm. Big disadvantages when in a knife fight. Well , I have read through the Geneva Accords and there’s nothing in there about a tri blade knife. Now that bring said, this knife was designed to kill! One manner is to attack from the rear and stab up in the base of the skull and twist and then jerk back outwards which can puncture the base of the skull, and like an egg beater it scrambles the brain stimulation! The puncture wound IS difficult to close BUT! It’s not impossible. Again having read the Geneva accords there was nothing in it about any type knife bring outlawed by the rules of war which is what the Geneva accords is! Oh and the stab wound doesn’t really cause that much more bleeding because the cutting edge of all three blades are not much more than most bi edged blades. If they bleed more it’s because of where the wound is as opposed to the number of blades! BUT IT IS WICKED LOOKING! Uh…. 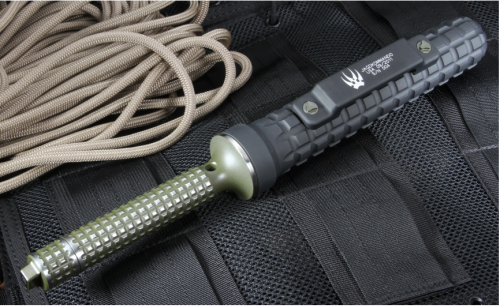 THIS IS A MILITARY DAGGER…. USED BY THE AUSTRIAN ELITE FORCES!! !